The Mt. 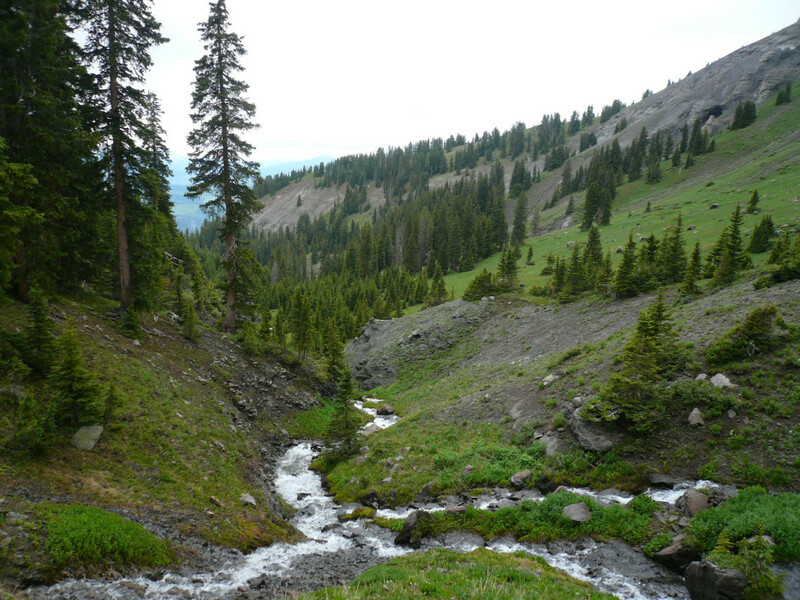 Sneffels Wilderness area covers 16,587 acres, yet very few trails exist within it - this is one of just four trails within its borders. Because the Sneffels Highline trail lies primarily in remote, designated wilderness, it is restricted to non-motorized traffic (i.e. no jeeps, four-wheelers, or mountain bikes), and even on beautiful, weekend days in the summer, you’re apt to encounter more deer and elk than fellow hikers. The Sneffels Highline Trail is approximately eight miles from end to end, but its trailhead terminuses on either end must be accessed on foot via other trails—so we recommend hiking this as a complete loop from town, utilizing sections of the Jud Wiebe and Deep Creek trails. What follows are directions for hiking the complete 13-mile loop counter-clockwise. Begin hiking up the west side of the Jud Wiebe from the trailhead at the north end of Aspen Street. After about three-quarters of a mile of steep climbing through aspen trees, look for the clearly marked turnoff for Deep Creek Trail on your left. After crossing the creek, you’ll come to the Sneffels Highline trailhead sign on your right. Off you go! The next eight miles of remarkably well-maintained singletrack will take you past old mining ruins, through lush forest and two verdantly green, open basins above timberline. Each basin is scattered with dramatic boulders, marmots galore, wildflowers, and dramatic snowfields that often linger into July. Peek back at the valley behind you for magnificent views of the ski area, Bear Creek Canyon, and the entire Wilson Range. Your high point is the 12,300-foot pass between Pack Basin and Mill Creek Basin—a notch in the rock along the ridgeline leading up to the dramatic summit of Mount Emma. Enjoy the views up here before wending your way down the switchbacks on the other side and over smooth-sailing singletrack across the basin. 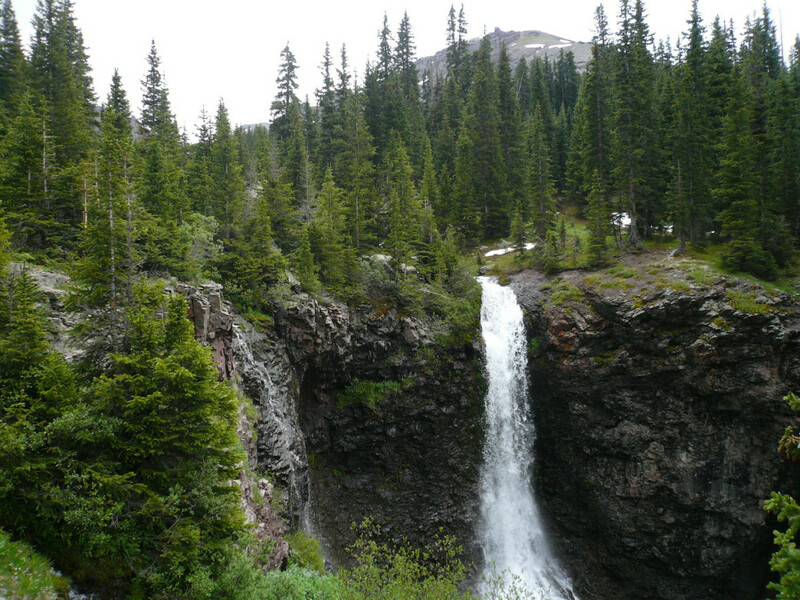 As you descend back into treeline, keep an eye out for a huge free-falling waterfall to your left. When you emerge at the western terminus of the Sneffels Highline Trail, hang a left to take the scenic Deep Creek Trail south and east for several more miles—descending significantly at first, followed by a relatively flat stretch traversing the hillside—to return to your initial intersection with the Jud Wiebe. Take a right here and you’ll be back in town in 15 minutes. Avid hikers who want to put in a stout, enjoyable day on the trails without worrying about hassles like map navigation or car shuttles. This spectacular route can be done as a complete loop from downtown Telluride, and unlike many of the more epic loops in the San Juans, it’s well signed the entire way. Park on the street in town and walk to the Jud Wiebe trailhead at the north end of Aspen Street. Note: many streets in Telluride are limited to two-hour parking, so be wary of these restrictions—or seek free, all-day parking at the Carhenge Lot on the southwest corner of town, off West Pacific Ave.